You can double-click on multiple memo icons to open each memo in a new tab in the memo window. Viewing memos in tabs makes it possible to quickly switch between different memos. Click the symbol to close the current memo tab. 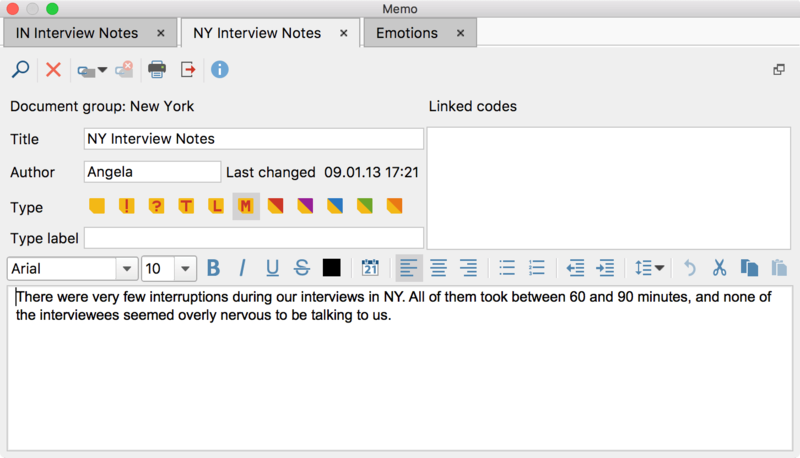 Tip: You can pull individual tabs out of the memo window with the mouse, so you can view multiple memos at the same time, each in their own Memo window. Alternatively, you can click Dock window symbol, which will also bring up a new Memo window.